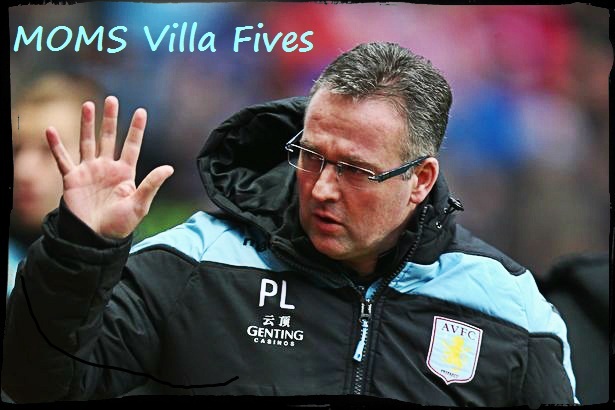 With Paul Lambert drastically rebuilding his team from almost scratch, it was always going to take a while to gel. Considering the age of most of the players too, many were learning on the job in terms of Premiership experience. Waiting for clues to whether Lambert’s project was going to work was a pateint process for fans, after enduring one of the worst top flight starts to a season in the club’s top-flight history. The first real turning point of the season ended up being a completely false dawn. The week that saw Villa win 4-1 in the quarter-final of the League Cup at Carrow Road (setting up a dream ‘easy’ semi-final tie) and a fantastic 3-1 away win at Anfield, suggested the Paul Lambert revolution was about to kick-in early. Fearless attacking football and a trip to Wembley was in the offing, but how wrong we were. Below are the main points that altered the team’s season. 5 Arsenal at home – a 0-0 draw at home to a far superior Arsenal side in a game where we were unlucky not to win was a big turning point. We had just been smashed 5-0 by Man City and only won one game in eight league games, but this draw started a mini revival where we went on a six game unbeaten run (five in the league). 4 Chelsea away. Losing 8-0 here after such a good run was really worrying, especially as Villa then went on to lose 4-0 at home to Spurs and 3-0 at home to Wigan and didn’t win a game then until Mid-February. This really dragged us into a relegation battle which our form beforehand suggested we would avoid. The alarm bells were ringing and loudly. 3 Reading Away – a VITAL game for the club with QPR up at home the game after. We needed to go here and get something and we did and after falling behind too. 2 Stoke away – This is a ground we generally do not do very well at and against a Stoke side that physically should prove too much for a young Aston Villa team in many people’s eyes, it was great to stuff them. Had we lost that we really could have found ourselves in deep trouble The only problem is that we couldn’t follow up with a well-deserved three points at home to Fulham the week later. 1 Sunderland 6-1 – Despite picking up points against Stoke and Fulham, results were going against us and we were running out of games to pick up points from. This game was seen as a must win. We took four points from this game in my opinion. Our goal difference before the game effectively meant we were a point down on anybody else, if it ever got to goal difference. However a five goal win really closed the gap and over took a couple of teams in the goal difference chart. Not only did Villa take the points and closed the goal difference deficit, but they went in to the Norwich away game full of confidence and followed up with another three points. In the meantime dragging a revived Sunderland team into the relegation battle again and ensure Norwich City would have squeaky bums too. Half-time team talk at home to Newcastle before the transfer window closed in January. After 45 minutes we were heading down – some half time subs – hopefully words of wisdom and despite the loss, the second half showed we could survive with Gabby, Benteke and Weimann together.